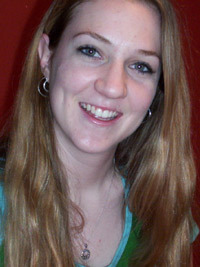 Michelle Prescott was born April 6, 1983, the daughter of David and Elizabeth Prescott of Biloxi, Miss. The family was affluent thanks to David’s position as a local bank executive and their income was supplemented by Elizabeth’s occasional interior design consulting projects. According to her elementary school principal – who is still in charge of the grade school Michelle attended – and school records through middle school, Michelle was an excellent student from the beginning. Very early, she showed a special flair for visual arts and an interest in architecture. Two lifelong friends agree that her aesthetic sense translated into fine and expensive tastes, and that from her preteen days, there was no hobby Michelle relished more than shopping with her mother or her wealthy older cousin, Kristi Waterson. Michelle’s friends recall how Michelle loved acquiring fine clothing, unique antiques, local artisan crafts –and how on a good day with Elizabeth, the two could easily spend thousands of dollars. School records and friends also recall that when Michelle entered high school everything changed. Her parents divorced acrimoniously, forcing Michelle abandon plans to follow her boyfriend to Dartmouth College. Instead, she was forced to consider less costly options, and – after a bout of despair at the unfairness of life – finally settled on Ole Miss, which gave her scholarship funds as well as the opportunity to spend time with her favorite cousin Kristi, who was by then a junior member of the faculty. Michelle started college in the fall of 2000 and appeared to all who knew her to be determined to put her disappointment in the past. Her high school sweetheart relates how she stayed in touch with him early on, but then deemed their long-distance romance impractical, and they broke up before Thanksgiving break of her freshman year. In matters of romance, Michelle’s friends say she is down-to-earth: She doesn’t entertain suitors who don’t share her priorities – topmost of which is securing a comfortable lifestyle. According to them, Michelle is aware that some have whispered that she is a gold-digger, but Michelle responds by saying life’s too short to endure poor quality. Both Michelle’s friends in school and at the at the real estate office where she works part time agree that Michelle hasn’t cast aside her top-tier tastes. She holds down a well-remunerated part-time job as a girl Friday at Lovelady Realty. Michelle has been open about the benefits of this job. She says it gives her income and access to wealthy clientele and their homes. Those, combined with her mother’s steady allowance, are plenty to maintain the lifestyle to which she’s accustomed. The apartment she and Kristi share is beautifully appointed. Michelle is an art history major and, according to her staff advisor, her ultimate goal is to build her own collection of Impressionist art. Until then, she envisions working as a fine art dealer or top-tier auction house. Since junior year Michelle has been dating the son of extremely wealthy Texas family and has been led to expect a proposal shortly before graduation.